Join the Offices of Student Leadership and Activities and Residence Life on Sunday, April 22nd for Simmons Cup! 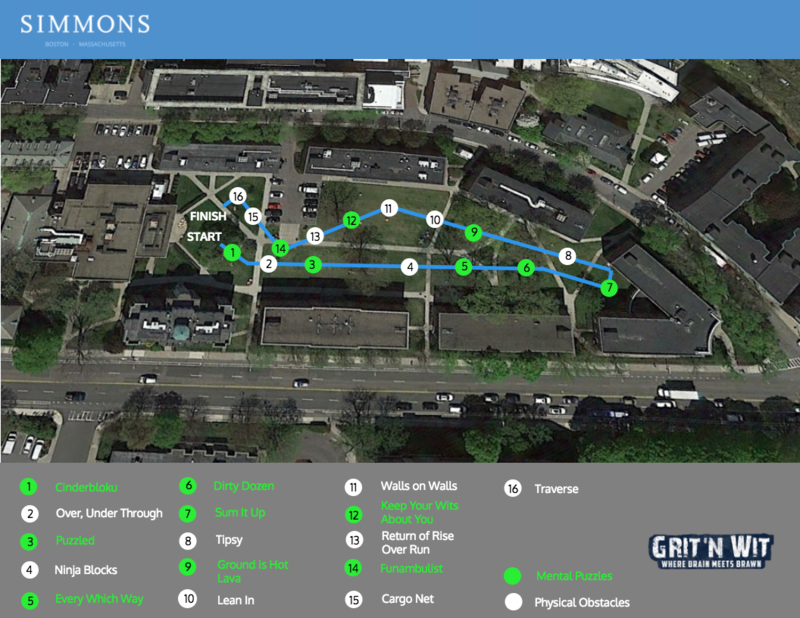 Join us as Grit 'N Wit returns to test yourself with new mental and physical challenges! HOW IT WORK: Sign up your team! Teams can consist of up to 6 members, however, an ideal team is comprised of 4. You compete in 16 different obstacles. The team with the best time will win. The Halls/Commuters with the overall best time will win. 1. The first 100 students to sign up will receive a Simmons Grit 'N Wit T-shirt. 2. The Team that has the best score will receive a group prize! 3. The Hall or Commuter Team that scores overall best will receive a prize. Event starts Sunday, April 22nd at 12:30.